Gone are the days when listeners associated the Polish music scene with Vader and Behemoth only. Now, it's more and more about the Progressive Rock and Metal acts slowly taking up the baton, with bands like Riverside and Art Of Illusion becoming more and more recognizable worldwide. It's hard to predict whether or not FractalMind, another Polish band also classified as Progressive Rock/Metal, is going to join the same league in the near future. However, as their first English language album 'Stainless' proves, they're adequately equipped in terms of musical skill for a conquest of the global Progressive Metal scene. 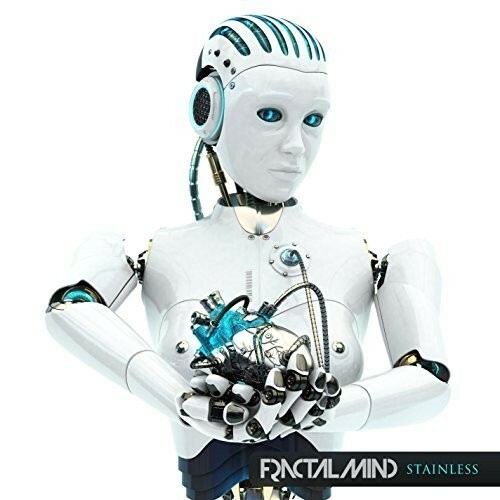 The (presumably female) android on the FractalMind's album cover obviously corresponds with the album title as well as the band name, but at the same time it may be read as an indirect suggestion of sterility, or even artificiality. Nevertheless, the album's musical content is nothing close to being sterile. As the guitar-laden, lumbering intro to the second track 'Pilgrim' kicks in, you may be sure that the initial impression was quite misleading. The majority of material on 'Stainless' is built around a balanced combination of heaviness and complexity of song structures, embroidered with elaborate soloing ('Hellbound', 'Chant Of Life'), as well as frequent changes of pace, tempo and mood. However, alongside otherwise low and heavy guitars, there are also softer ('REM', 'Dreamriver' or the acoustic 'Still Life'), as well as more melodic ('Sleepwalkers' Dance', 'Chrysalis') moments on the album. Overall, the band's sound is dark, thick and very modern, a resultant of influences circulating within the contemporary incarnation of the genre they represent. Although representatives of the Progressive Rock and Metal scenes are often accused of pushing style over substance, this particular band seems to value song-writing craft more than actual virtuosity. It results in 'Stainless' being more an album of developed musical ideas than just a showcase of the band's instrumental prowess. FractalMind's heavy sound, based around twin guitars, should convince Metal-oriented listeners whereas those who value multilayered, composite song structures may also find the band worth their attention. 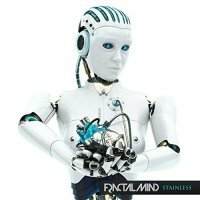 While 'Stainless' might not be particularly innovative in terms of sound or approach, let's hope FractalMind will run the risk of braver explorations on future albums.